Ruben’s creative fire is still burning strongly. An album of Tango music, a Brazilian album, a Rock en Español album, an album of Spanish ballads, and thankfully, a Salsa album. How many artists have the talent and confidence to take on such a wide range of musical projects?. Oh, and a little acting too with De Niro on a movie about boxing legend Roberto Duran. Here’s hoping that Ruben’s muse continues to move him forward. New York, Jul 12 (EFE).- New projects are piling up on the agenda of Ruben Blades, the Panamanian singer, poet, actor, lawyer and politician who continues to take on new challenges – like recording a disc of boleros with Paco de Lucia and acting alongside Robert De Niro in a biopic of boxer Roberto Duran. Loose leafs from the New Yorker Books Department. This week’s story, “Miss Lora,” marks the return of Yunior, who last appeared in the magazine two years ago, in “The Pura Principle.” In that story, Yunior’s brother, Rafa, has recently been diagnosed with cancer. “Miss Lora” takes place shortly after Rafa’s death, when Yunior is still dealing with “a fulgurating sadness” and also sleeping with his neighbor, an older woman. Back in 2010, did you know that you were going to write this story? Actually, I tried to write this story first but it just wouldn’t stick, and so then I wrote “The Pura Principle.” What really sparked me was that I was hanging with a group of my boys, they asked me what I was working on, and I told them—this older-woman thing—and a few of them started talking about their own experiences in high school. Two of them had been in similar situations, even lost their virginities to older women. They were proud of what happened, too, a serious notch in their masculine belts. This type of impropriety was not as uncommon as one might imagine, not in a Caribbean community like the one I grew up in, where boys were encouraged toward a hypermasculine ideal, where the line between adults and minors was not as safeguarded as it should have been. Anyhow, this alarming conversation got me back on track. Ignited the work. 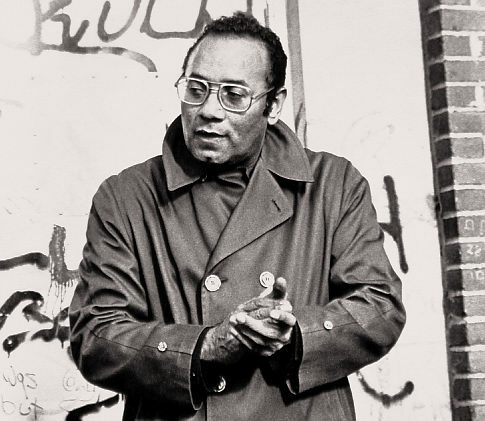 Piri Thomas, the writer and poet whose 1967 memoir, “Down These Mean Streets,” chronicled his tough childhood in Spanish Harlem and the outlaw years that followed and became a classic portrait of ghetto life, died on Monday at his home in El Cerrito, Calif. He was 83. The cause was pneumonia, his wife, Suzie Dod Thomas, said. In the memoir, Mr. Thomas described how he was brought up as the only dark-skinned child among seven children, the son of a Puerto Rican mother, Dolores Montañez, and a Cuban father, Juan Tomás de la Cruz. His dark skin, Mr. Thomas recalled, made him feel like an outlier in his own family and neighborhood, where he was taunted about this looks. Even his father, he felt, preferred his lighter-skinned children. As a merchant seaman in the Jim Crow South, he wrote, he persuaded a white prostitute to sleep with him because, he told her, he was really Puerto Rican, not black. He then enjoyed stunning her by telling her she had just slept with a black man. The book, with its harsh language and scenes, was banned by some schools but soon became assigned reading in many others. The poet Martin Espada said its influence was enormous. After the memoir Mr. Thomas spent much of the rest of his life lecturing about it. He also wrote two novels, “Savior, Savior, Hold My Hand” (1972) and “Seven Long Times” (1974), several plays and the collection “Stories From El Barrio” (1979). He also set his poetry to music. John Peter Thomas was born on Sept. 30, 1928, in Harlem Hospital, where he was given the Anglo-Saxon name. “They wanted to assimilate me,” he said in an interview in 1995. “Whoever heard of a Puerto Rican named John Peter Thomas?” His mother called him Piri. In addition to his wife, he is survived by two sons, Peter Stacker and Ricardo Thomas; four daughters, SanDee Thomas, Raina Thomas, Tanee Thomas and Renee Shank; three stepchildren, Michael and Laura Olenick, and David Elder; seven grandchildren; and two step-grandchildren. You are currently browsing the archives for the Latino category.